Nobody scored today. Will you? 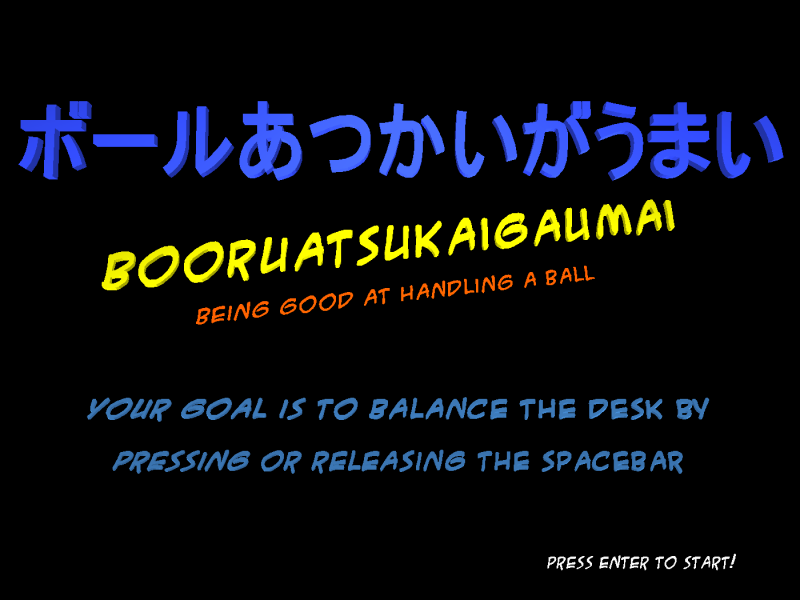 Booruatsukaigaumai is a one-key desk game using OpenGL 3D scene rendering. 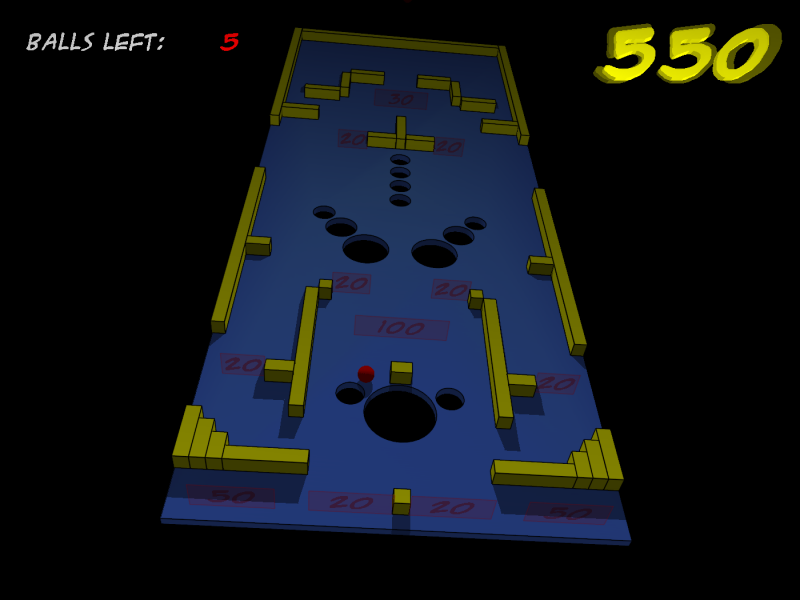 Your task is to guide a number of red balls through 6 different levels full of blocks, holes and gates. 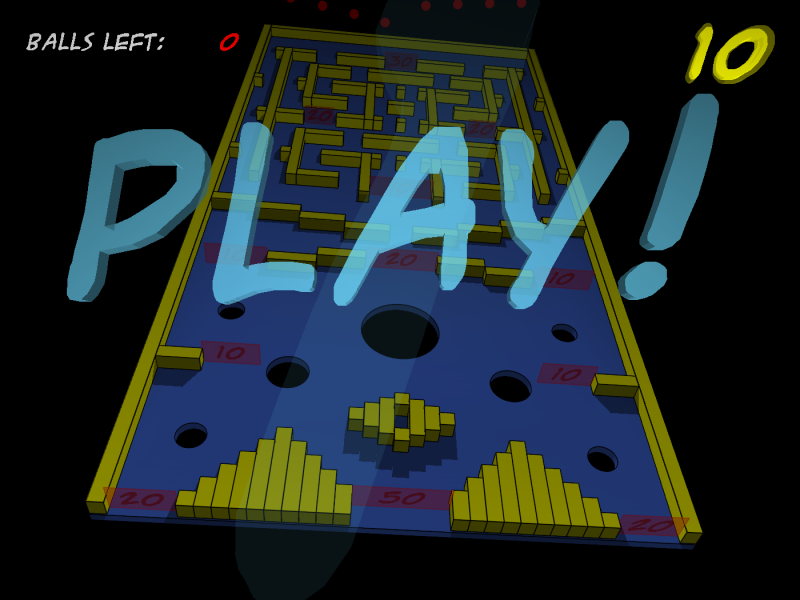 You have to make the balls go through as many gates as possible, which earns you the score points. However, you only have one key to control the desk tilt, which makes balls roll to the right (when the key is pressed) or to the left (when the key is released). Any other movement of the balls is controlled only by gravity and interaction with blocks, holes and other balls. 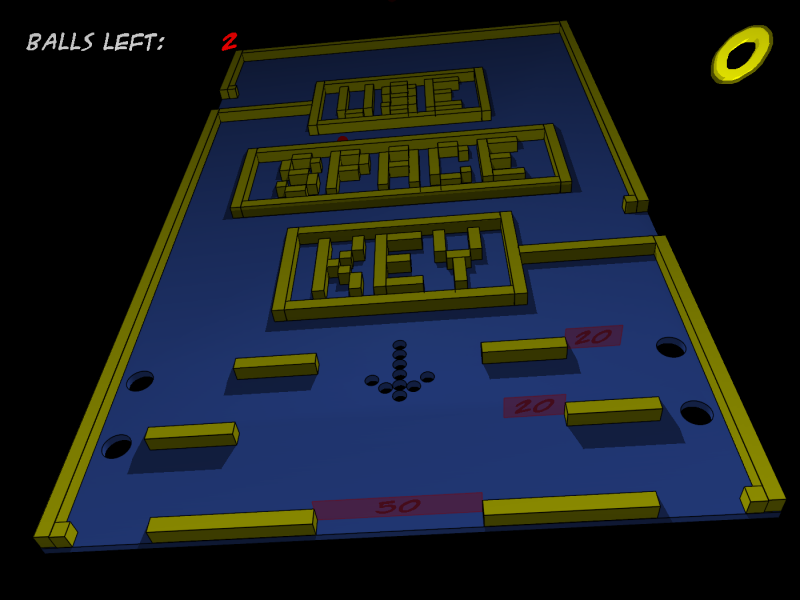 Even if the principle seems to be very simple, the game can be quite challenging. All and every part of the Booruatsukaigaumai game has to be and is distributed as Public Domain. Everybody is allowed to copy, modify, distribute and redistribute it under no other conditions and free of charge.